Transgender patients preparing for NHS-funded gender re-assignment face poor standards of treatment and extended waiting times of up to six years, a health watchdog has revealed. A report from Healthwatch England found that patients requesting gender re-assignment often wait for a year before receiving an initial appointment, with others facing a wait of two years for an operation. “Clearly, this is a very major procedure and the uncertainty is being combined with delay. One can only imagine the sense of anticipation prior and through the process,” Rake said. Transgender individuals often undergo multiple treatments, such as hormone therapy and hair removal, before their transition is complete. The total process can take six or more years, Rake said. British advocacy group UK Trans Info echoed the health watchdog’s fears that current waiting times are affecting people’s day-to-day lives. It said these delays are sparking an increase in levels of self-inflicted harm among patients who are pushed to the bottom of gender re-assignment waiting lists. The advocacy group argued that the UK’s National Health Service (NHS) treats transgender people as low priority patients. The health service only recently began to meet its legal obligations to see patients within 18 weeks, with transgender Britons forced to endure long waiting periods prior to this, it added. “We regularly speak to people who are actively self-harming or considering suicide due to delays and lengths of waiting lists for gender clinics or surgery,” Jessica Coal, a spokesperson for UK Trans Info, told the Guardian. “The delays and other problems with gender identity services are putting lives at risk,” she added. The health watchdog's report comes as the Health Service Ombudsman uncovered startling failures in the treatment of UK patients nearing the end of their lives. 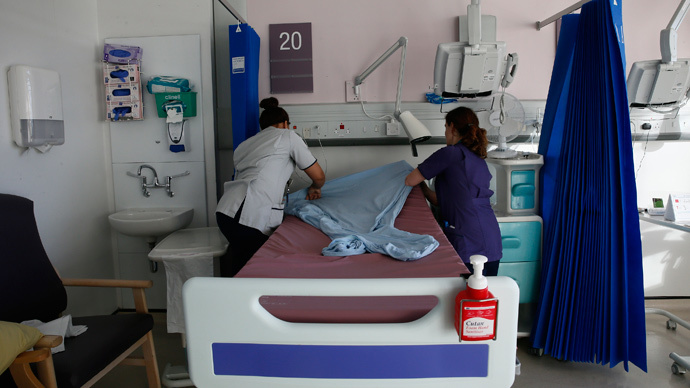 The damning report, published on Wednesday, found that many NHS treatments “fall short” of the standard of care gravely ill Britons deserve. The study said doctors often fail to accept that patients are dying and begin new and unnecessary treatments rather than preparing them for a comfortable end.